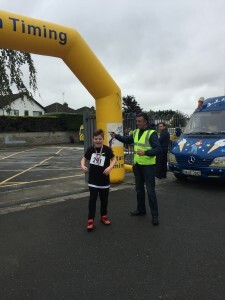 From competitive road races to school/club/charity fundraising events, Titan Timing delivers the highest level of professional race timing in Ireland for your event using state of the art chip timing technology. Through dedication, commitment and meticulous planning, we will provide you with an accurate, affordable chip timing solution in an efficient co-ordinated manner from start to finish. Titan Timing uses race result technology which is the most reliable and flexible race chip timing software and hardware for any type of endurance race, and also the infrastructure to chip time even the biggest events in the world. 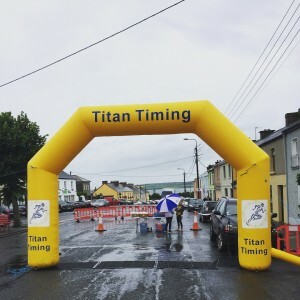 Titan Timing also offers race day essentials for hire such as printed race numbers, inflatable finish line/gantry and double sided clock throughout Ireland. Check out our services and testimonial pages to see how we, at Titan Timing, can assist with your event. Castleconnell Rowing Club 10k, March 11th, 2018. Another fantastic 5k and 10k organised by Castleconnell Rowing Club. Julio Cesar Castro won the 10k in a time of 35.56 for a fourth year in a row. Can he do the 5 in row? Murna Griffin O’ Malley was the first female home in the 10k in a fantastic time of 40.21. Well done to Castleconnell Rowing Club for another well organised, very enjoyable event. Another fantastic event for the Giving a Little Back team in Herbertstown last Sunday, October 1st with their 5th Anniversary 60km cycle, 5k run and 5k walk for Breast Cancer Care. Well done to all involved. Looking forward to the 2018 installment already. We were delighted to be part of the Ashbourne Youth Cafe 6k/10k on Sunday, September 10th. A great turnout once again as young and old alike got their running shoes on to support the local youth cafe. Although conditions were against us, a full quote of 150 triathletes took on the picturesque Glin Triathlon on the banks of the River Shannon in West Limerick. Well done to Glin Triathlon Club on another hugely successful event. Although Kilmoyley Senior hurlers were playing at the same time and Ireland/France was at 2pm, an amazing 160 runners and walkers turned out for the annual Kilmoyley Tidy Towns 10k/5k Run. Well done to all involved and the results are on the Kilmoyley 10k/5k facebook page. All the pictures from the day are on our Titan Timing facebook page. See you all next year. 12th June is fast approaching and the Castleconnell Mid Summer 10k/5k Run will be the place to be. Set in the scenic and historic village of Castleconnell, the Mid Summer Run takes in the beautiful scenery of East Limerick. This years run will be chip timed by Titan Timing and promises to be the highlight of the Summer. Register at www.midsummerrun.ie or on the day in the local community hall. Participating in this event will mean that you are supporting the development of the CASTLECONNELL COMMUNITY SPORTS FACILITY. The sun shone on Asdee GAA grounds again this year for the annual half marathon, 10k and 5k. Asdee community and runners from neighbouring counties turned out for this great event. 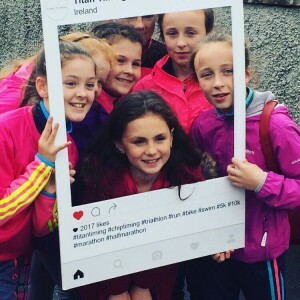 Events like these are a fantastic platform for communities and an incentive for all to set themselves goals, from the testing half marathon to a face paced 5k. From experienced runners to newcomers tackling the 5k, the roads of beautiful Asdee welcomed all comers. Well done to all the volunteers and participants who contributed to this growing event in aid of Kerry Respite Care.